Minister for Industry, Science and Technology Karen Andrews officially opened a new research facility at the University of Southern Queensland (USQ). Designed to further advanced Australia’s space capabilities, the new Institute for Advanced Engineering and Space Sciences in Toowoomba and Mount Kent Observatory will focus on hypersonic propulsion systems, advanced materials and astrophysics. Opening the Institute in Toowoomba on Wednesday, Ms Andrews said the $6 million facility includes an array of new telescopes and technology that would complement the work of the Australian Space Agency. “The Institute will help our space efforts by focusing on cutting edge technology and world class infrastructure,” Minister Andrews continued. “The University of Southern Queensland has been actively involved with the Australian Space Agency, keeping the Agency informed of its space program and working to support the growth of our space industry. 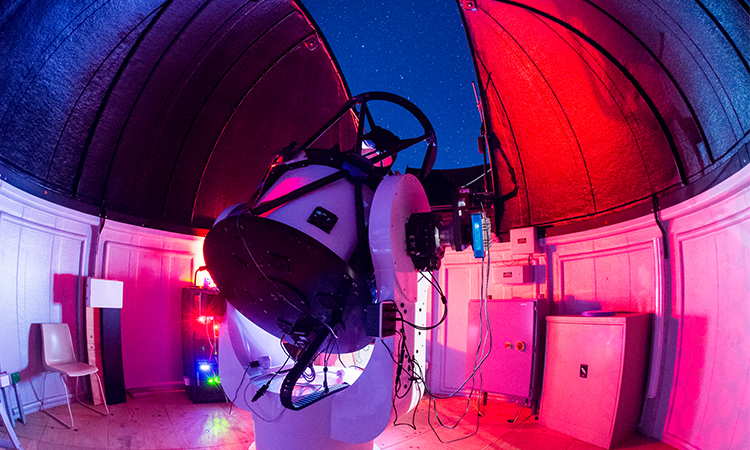 The University of Southern Queensland boasts an impressive space program, with its Mount Kent Observatory providing the only ground-based support in the southern hemisphere for NASA’s Transiting Exoplanet Survey Satellite. Apart from NASA, it also collaborates with a string of other international organisations including the German and Japanese space agencies. USQ Centre for Astrophysics Director Professor Brad Carter said the new facilities offers the potential to capitalise on the growing opportunities presented by the Australian Space Agency and international space industry.